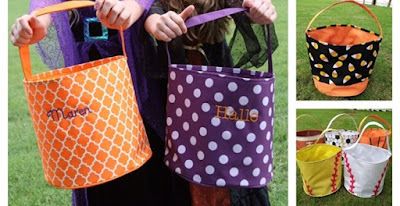 Get a Personalized Trick or Treat Bucket / 25 Designs for $13.99 (Retail $25). You will love our adorable TriCk-oR-trEaT buckets! Ready to be personalized with the names of your favorite goblins:) Choose from 4 fonts, 6 thread colors and 25 super fun designs. Collapsible for easy storage and sturdy enough to use year after year! $2.99 for the first item and $1.99 for each additional item. US only. Estimated to ship by Thu, Sep 15.